Simple changes while traveling can create a substantial positive impact on our environment! While some people take green travel to the extreme, no matter what decisions you make during your travels, as long as you try your best to be more environmentally conscious, you’re doing your part. The best and easiest phrase to remember when traveling is to “Leave No Trace”. The concept is to leave nothing behind but footprints no matter where you go. While some may think of eco-friendly traveling as a 'fad', it is not something in passing. 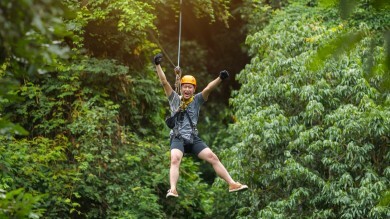 This growing trend is spreading across the travel industry where they are adopting many eco-friendly practices for their establishments including many of which we have gotten very used to seeing. The signs in your hotel rooms which ask if you want your linen / towels washed or not. Rooms that automatically turn off all electricity when you leave. Hotels installing solar panels on their rooftop and water recycling systems to reduce their consumption. All around us we are witnessing increasing numbers of key players in the tourism industry finding small ways to reduce their global footprint and creating a greener world. When it comes to tourism in 2018, on most people’s mind is the concept of simply being "better" – better for the location, better for the local people, and better for the environment as a whole. If you care about the environment and you also love to travel, there are some really easy ways that you can be greener while doing it. 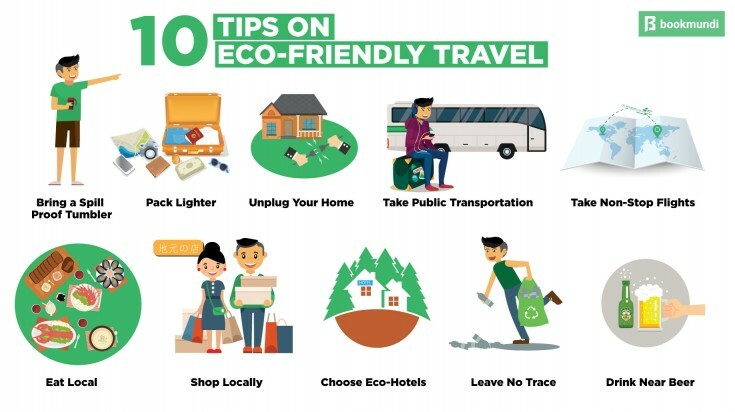 Here are some of the top ten tips for eco-friendly traveling. 1. Bring a spill proof tumbler: After you finish that long check in at the airport, most of us go straight for Starbucks to get a coffee while we wait hours for our flight. That’s your first disposable cup tossed into the landfill. Throughout the course of your trip you’ll no doubt go through 20-30 cups that fill up your own garbage bag full. With the simple change of tossing a spill-proof tumbler into your bag, you’re set. This is the #1 most important change that you can make that will keep your trip greener. 2. Unplug your home: Before you leave your home for your trip, whether it’s a weekend trip or a week-long trip, unplug everything in your home. Even if you’re not using something, just having it plugged in seeps energy from the grid. This not only saves electricity but also saves you money. 3. Pack lighter: This may seem insignificant, but packing lighter is a huge environmental impact. If your bag is lighter (let’s say you pack just one suitcase instead of two) that means the plane will weight 50lbs less, the bus you ride or the car you drive will be just as light, and each one of those changes means the fuel consumption will also be less. 4. Use public transportation: While we may not always want to take the bus/rail, they are by far the greenest way to travel on land as they use a reduced amount of fuel per passenger as compared to by a car. When possible, why not walk? One of the best ways to see any place and experience the local intricacies is by walking around, and it’s great for your health too! 5. Eat local: Whether you’re traveling or not, purchasing local food/products means that nobody drove those goods across the country just to get them there. Buying or eating the local produce encourages the local businesses. Let's admit it, food is one of the 'tastiest' ways to get to know a destination. So, get that palate on a hunger hunt! 7. Shop locally: Don’t buy products from your home country when you’re traveling as it only increases the weight of the lugage. Instead buy local goods and try something new. Also, make sure to utilize your resuable bag while shopping and try to reduce the use of plastic bags . All those plastic shopping bags just get left in your hotel room to be thrown away after your trip is over. 8. Leave No Trace: No matter where you travel, the only thing you should leave behind is footprints. Most eco-travelers take this one step further now, and suggest that each of us should leave the place we visit even better than when we found it. That means picking up a few pieces of trash we see on the beach or in the forest and tossing it in waste containers, so it doesn’t end up sinking into the ground or ocean. 9. Take non-stop flights: The biggest impact of flight isn’t the flying, but rather the takeoff and landing that consumes the most amount of fuel. Of course, nobody likes having layovers, but the next time you think about flying, maybe that extra USD 20 is worth it for mother nature. 10. Drink near beer: The term “near beer” is a new growing trend but it isn’t a new concept. What it means is that wherever you are, drink the beer that’s made nearby. Since you’re traveling, why not drink the local beer? Not only are you being greener but you’re also supporting local breweries. Cheers to that! These are only a few tips and there are so many great ways you can travel greener! It is all about doing one small thing at a time. There are so many inspirational countries around the world doing their part to fight climate change and after scouring different reasons, we picked our favorites (in no particular order) to share with you for your future travels. Costa Rica's commitment to protecting and preserving nature is shown by their use of 95% renewable energy sources throughout the country. They have also been dedicating over 25% of the country’s land to national parks and reserves showing that you can still remain prosperous while still respecting nature. Isla del Coco: A protected national park and completely uninhabited island off the pacific coast of Costa Rica is home to a sprawling rainforest full of diverse flora and fauna. It’s a perfect place for nature lovers to go and explore and since it has no connection to the mainland, most species found are completely endemic to the island. 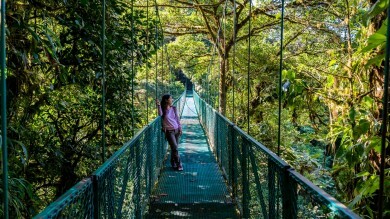 Monteverde is a small town in Costa Rica that was a huge kickstarter in their eco-travel revolution. It’s a place where you can be inspired by their abundance of green energy sources and organic farming methods. National Geographic called Monteverde, “the jewel in the crown of cloud forest reserves”. Corcovado National Park: Located on the Osa Peninsula, it’s been said that the forests of Corcovado in Costa Rica reach heights like that of the Amazon and is home to a diverse plant and animal life. 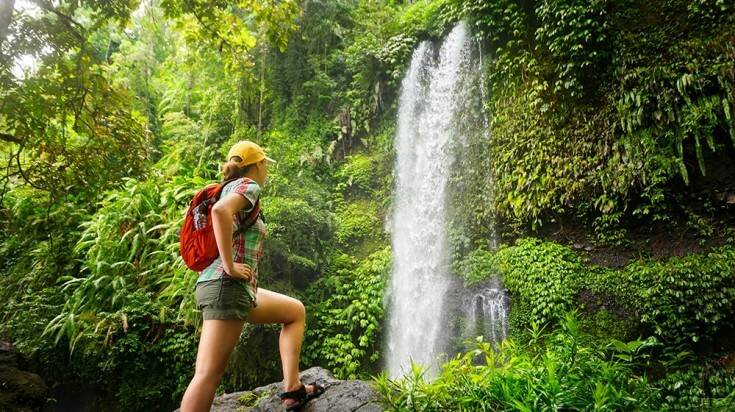 Environmental enthusiast will enjoy backpacking, bicycling, and driving through rainforests, mangroves, plains and waterfalls. From monkeys, to parots, to sea turtles, the Corcovado National Park is an eco-warrior’s playground. Dedicated to being 100% off fossil fuels before 2025, New Zealand is a country that all should aspire to be like. While New Zealand may be divided into two different islands, the large abundance to wind and geothermal electricity is what’s shaping their future. Not only do they have a large focus on green-energy, but they have always treated nature with the utmost respect which is why they have some of the most breathtaking landscapes you’ll ever find from mountains, to valleys, untouched beaches, and many more natural wonders. 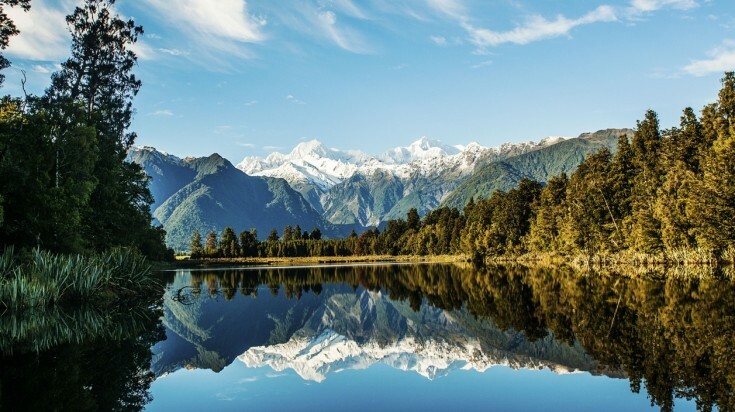 Mount Cook National Park flaunts New Zealand’s most famous landscapes of turquoise lakes, rugged mountains, ice glaciers, and marine reserves that New Zealand has to offer. It also has one of the highest peaks at over 12,000 ft high. Poor Knights Islands: While from above the water, this area of New Zealand may not look spectacular as it is the remnants of an old volcano, the joy of the Poor Knights Islands is underwater. Take a dive underwater or snorkel to see the abundance of corals, colorful fish and beautiful plant life. Be sure to ask the locals for the story behind the “Poor Knights” curse on the area. Wai-O-Tapu Geothermal Reserve: New Zealand is very well known for their abundance of geothermal activity that creates much of their electricity. Tourists can also enjoy the wonders and joy of the geothermal activity from seeing pools of boiling water, steam rising from cracks all over the park, geysers spewing water into the air and even the active Taupo volcano. Gardens by the Bay is a stunning nature park spanning on 250 acres of land. It is one of the most popular tourist attraction in Singapore. If you want to live the life of luxury in a first-class city while still remaining close to nature, this is your country! Singapore not only has a tropical rainforest within the city limits but the country is covered by 50% in protected land. It also is one of the most walkable cities in the world which allows you to zero out most of your carbon emissions while staying here. 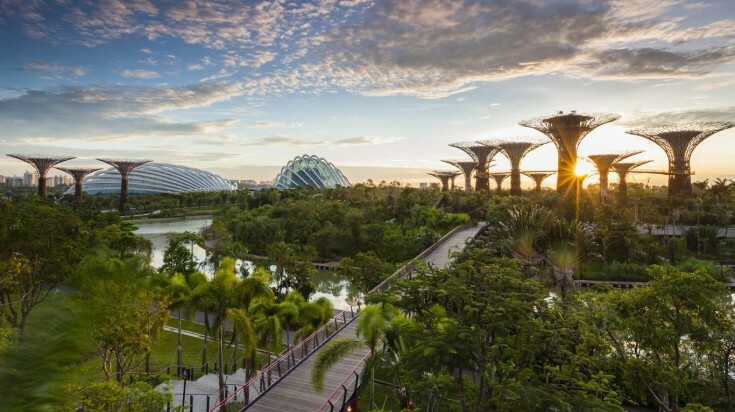 Gardens by the Bay is one of the most visited natural parks in Asia with its iconic Supertrees. The Flower Dome alone contains more than 10,000 sunflowers. The Social Space is one of Singapore’s most eco-friendly shopping spaces which has a café, nail salon, retail area, and “refillery” which allows you to refill household items like cleaners, soaps, detergents, and others by using your own refillable bottles zeroing out the waste of plastics. Marina Bay Sands is not only known for its world-famous design with the infinity pool across top of all 3 buildings, but what most people don’t know is its commitment to being environmentally conscious. The building was built with an intelligence management system that controls not only the heating, lighting and water, but also has its own water recycling system and regenerative lifts that restore 40% of it’s electricity on the trip down. Although Iceland lies in a coldest climate zone, the country is committed to being one of the most environmentally conscious countries in the world. They utilize their abundant geothermal resources not only for electricity, but also for heat in those icy-cold months. They also work as a proponent to ocean cleanup and sustainable fishing practices which is important in the overall global picture. 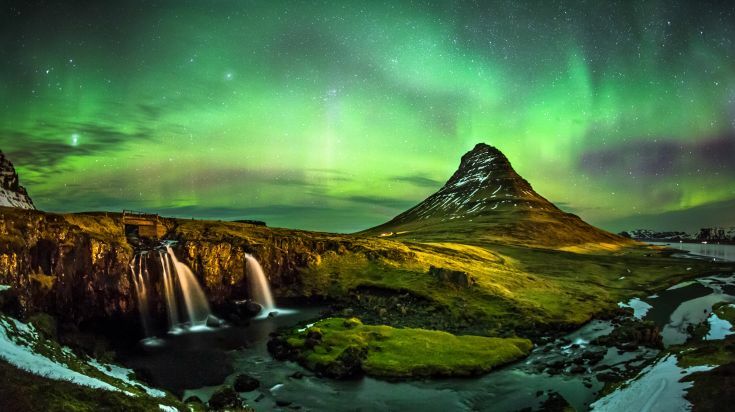 Northern Lights is one of the most famous natural wonders of the world, and you can see it right here in Iceland! For the best chances of seeing the Northern Lights you should visit between late September to March, although they can also be seen during the other months, just not as vibrantly. Natural Hot Springs may seem like it doesn’t belong in this frozen country, but the geothermal pools are littered all around this country which gives you a warm retreat from the icy cold winters. Whale Watching while controversial in other areas of the world, in Iceland it is done with respect for the whales by not attracting them by feeding methods but rather waiting for them to show up and both frighten and excite you. It also is a great way to give back to the protection of whales. San Francisco has earned the title of the most eco-friendly city in the USA. It’s not really a surprise considering California is leading the fight for climate change in lieu of global warming and is implementing some of the strongest legislation to clean up the country. San Francisco has already got its ban on plastic bottles and bags and are working to be one of the only states in the USA that will eliminate the use of coal energy production within the next few years. San Francisco’s Vegan Restaurants offer foods that are both responsibly grown and harvested with environmentally friendly methods. Some of the favorites include the Gracias Madre and Café Gratitude, both in the Mission District of San Francisco. We hear the dishes are delectable! Twin Peaks is two small mountain peaks in the heart of the city that you can walk or bike up to the top (or drive, but come on – we’re going eco-friendly here) and see a 360-degree view of the city below. 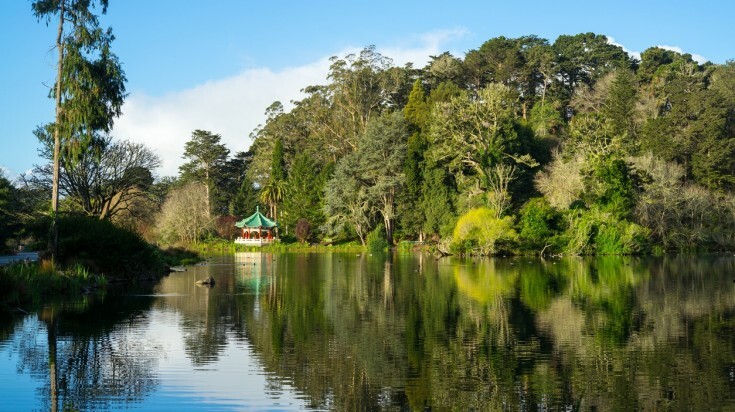 California Academy of Arts and Science: If you’re visiting San Francisco, you’re likely going to visit the Golden Gate Park which is home to the California Academy of Arts and Science which has a “living roof” full of plants. The entire building is built with plants and sustainability in mind. The two-acre plot of land is home to over 1.7 million plants! Not only is this a beautiful place to see but it also helps the city by soaking up almost 2 million gallons of water each year from storm run-off. 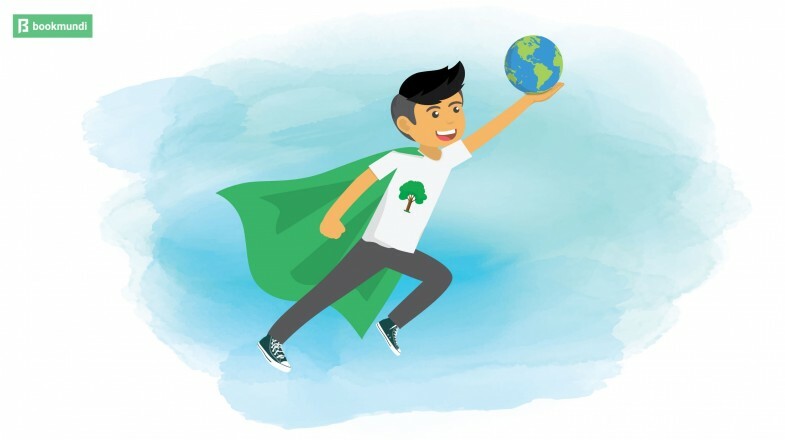 In our digital age we do most everything on our phones now and while technology doesn’t scream “environmentally friendly”, developers around the world have come up with some great apps that we can use to track our impact and make environmentally friendly decisions. 1. Green Globe: For world travelers the best app for finding the most eco-friendly hotel or attraction where you’re going is the Green Globe. It’s active in most countries around the world and ranks them based on a 40-line item checklist including items like environmental cleanup, proper recycling, employee training on eco-friendly policies, reduction in energy consumption, etc. It’s an easy way to be assured you’re picking a good choice when traveling. 2. Oroeco: The developers of Oroeco are from UC Berkeley and they have developed a way of turning your life into a gamified eco-impact summary. As you travel and in your normal life simply input what you purchase, consume, and do into the app and the algorithm behind the app will show you the impact of your decisions on the environment. You can compare it to those around you and your friends to see who’s the greenest among you. It’s a great way to understand your impact and find ways to lower it. 3. HopStop: When you’re traveling one of the biggest ways you impact the environment is by adding up carbon emissions in your wake. That’s why HopStop is an awesome choice for understanding the best environmentally friendly transportation options to get you to where you’re going. HopStop will recommend travel options to the nearest train, bus, ferry, subway, or by foot/bicycle depending on the distance. It’s an easy way to get around while remaining environmentally conscious. 4. Olio: By far one of the most innovative apps to date is the “food sharing” app by Olio. Don’t worry, it doesn’t mean you’re sharing a meal with someone but rather it’s a way of collectively solving what we do with excess food. If you’re traveling and bought too much food (box of crackers, fresh fruit, etc), simply log into the app and post that you have it and someone will come and pick it up. It also works in reverse that if you find yourself stuck in a city and are getting low on budget, login and see if someone’s got something to offer! 5. Spinlister: When you’re traveling and want to explore the city one of the best ways to do it is using a bike but often it’s hard to find one to rent. Spinlister is a peer-to-peer lending app that shows you people in your area that have a bike available to rent. It will show you both the type of bike, location, duration you can rent it for, and how much it will cost you. It’s a perfect way to share unused bikes with travelers around the world. You can also put your own bike up on here for other travelers to use. All apps are free and available on IOS and Android devices. Traveling isn’t the eco-friendliest thing we can do — we use a lot of fossil fuels, consume a lot of internationally shipped goods, and choose comfort over sustainability normally. However, simple changes in what we choose to do during our travels can make incredibly positive effects on the environment. Don’t stop traveling – just travel better. May the forest be with you!